- Dunbrooke Adult 6.0 Ounce Hayden Jacket. 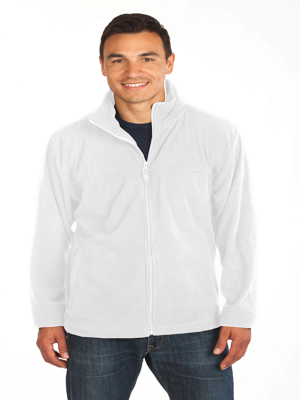 - 100% Polyester; polar fleece. Dunbrooke Adult 6.0 Ounce Hayden Jacket. 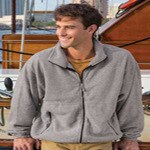 100% Polyester; polar fleece. Full zip, lightweight anti-pill jacket. Front welt pockets, stretch binding at cuffs, open bottom hem. Machine washable. Sizes: XS-5XL. Colors: Black, Navy, Red, Royal Blue.